The Norwegian teenager Kristoffer Ajer arrives in Glasgow yesterday for signing talks with Celtic. The Scottish champions have agreed a fee with FK Start for the 17-year-old to join the Glasgow club in the summer. The midfielder, who trained with Celtic for a week in January before returning home to Norway, flew into Glasgow Airport and was expected to finalise personal terms and complete a medical. 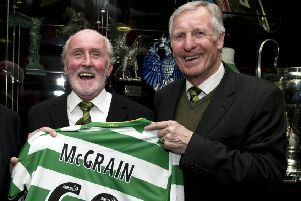 He was met by the Celtic physiotherapist, Tim Williamson, pictured right.